Yesterday was phenomenally hectic, what with the release of my new novel ‘The Assassins’ Village’ on Amazon’s Kindle and general day to day work. Sometimes I think we need more hours/days in the week just to stand still. But no matter, being a Kindle ‘Indie’ Author means that you get to meet lots of lovely and some very generous people. We are a busy, thriving community and support one another during both the good and bad times. 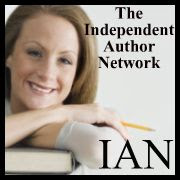 And that brings me to introduce you to Tania Tirraoro; an Indie author with a big heart – and she needs it for she writes some wonderful romantic novels. Here is an excerpt from her latest, Sweet Seduction; I’m more than halfway through it and loving it. I hope you do too. If you want to read more; simply click on the book cover and it will take you to her Amazon page. Good reading! Here is an extract from Sweet Seduction, my new romance. Hope you enjoy it! Romance can brighten up your day when you’re feeling down—it can bring a smile to your face and a spring to your step. It makes me happy to think I can do that for someone with my writing. The world can be such a dark and gloomy place—there has to be room for romance and a happy ending in there somewhere! Rufus sat with the receiver to his ear for a moment, listening to the dial tone. The bloody woman had hung up on him! He wasn't quite sure what he'd done wrong, he was just telling it like it was, after all. He wasn't going to let her get away with hanging up on him—she'd clearly just misunderstood. But the fire in her voice stirred something inside of him—he liked that feistiness—it was something she would need in business that was for sure. He imagined sparring with her face to face, something he knew he would enjoy. He thought for a moment about what to do. Should he just leave her to cool down? No, he decided, he wanted to see her. And he didn't want to wait another day. Rufus picked up her business card that lay on his desk and dialled her number. Listened to it ringing, four, five times before she answered. Her voice still sounded heated when she answered. "It's Rufus. I think we got off on the wrong foot," he said, trying to mollify her. "Wrong foot? I think everything about your approach is wrong. And I've no idea why you're calling me. I just told you I wasn't interested." "Well, you were interested enough to call me in the first place," Rufus pointed out, reasonably. Livia wasn't in a reasonable mood, "That was before you insulted my business!" Rufus shook his head in disbelief, even though she couldn't see it, which was, perhaps, just as well, "I didn't insult you. I merely pointed out you're a small concern." "So why you're interested at all is beyond me," Livia replied. Rufus knew he was going to have to do better to get her to come and see him, "I'm interested in you. You have a great-looking product that I believe has the potential to make us both a lot of money. I want you to come up to town, bring some more samples and we'll talk." "What's there to talk about? How you can take my pitiful business, inject your millions and turn it into something I never wanted it to be in the first place? No thank you!" "Well, what have you got to lose by meeting me? I'll arrange a car to pick you up and bring you into London. All you have to do is bring a few cakes. What's the harm in that? Livia was silent for a moment. Rufus could almost hear her brain ticking over. "I could do that. If you send a car. When did you have in mind?" "Meet me for lunch. Reilly's Grill in Knightsbridge at noon today. I'll send a car to the address on the card. Don't forget the samples." "Lunch? Today? That's very short notice." "But I'm sure you could swing it if you wanted to," Rufus said. Another pause, then she said stubbornly, "Fine. But I've agreed to nothing." Her tone of voice brought a smile to Rufus's face. He loved the thrill of the chase, the feeling that he was about to get something he wanted. And he wanted Livia Rosetti, one way or another that he was sure of.